That means it’s time to get outside and paint. There are so many things to prepare for, and look forward to this year. 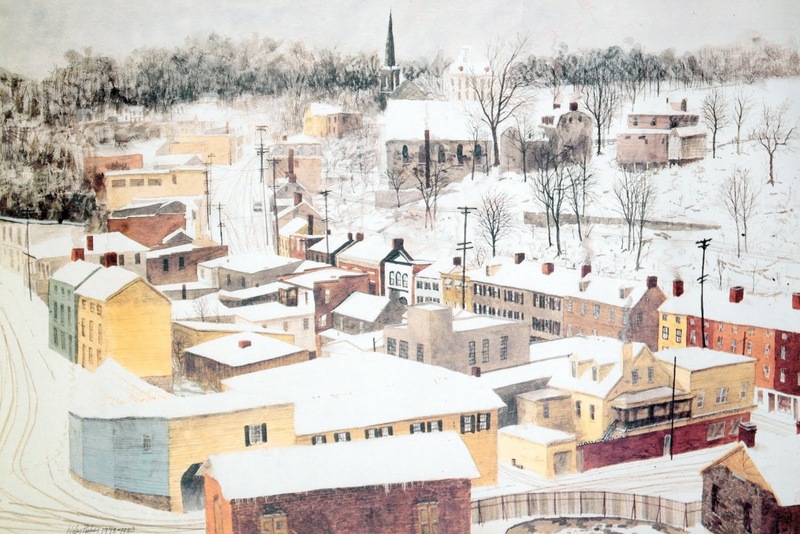 With June comes the annual ‘Paint It’ in Historic Ellicott City. 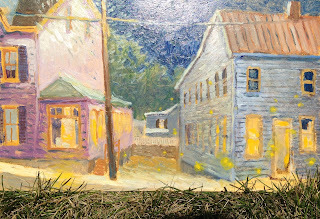 July brings a week long road trip for painting outdoors. In August the second volume of the Zombie Snowmen of Ellicott City book will be released. The title is “The Zombie Snowmen of Ellicott City - More Stories of the Icy Undead”. The book is written by Jerry Harlowe, and illustrated by me. August should also bring the release of my own second book, ‘Madison Snow and Fraser Fir’, yet another book with Historic Ellicott City at the heart of it. In September, the annual Art on Mulligan’s Hill show, two days of art on the ‘Mountain’. Also in September, I’ll be returning to the annual Decorator Showhouse, a great local tradition run by Historic Ellicott City, Inc.
October will likely see another Scary party with Zombies as the theme, and yes, I’ll be there and will be bringing the Zombie Snowmen with me. December may see me at a pop-up shop with my prints, and of course my annual Open Studio event. So, I’m off to paint, thanks for watching! 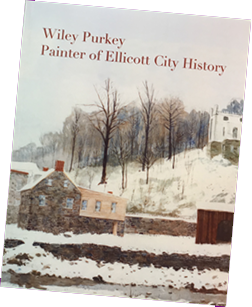 Join us at the Baltimore & Ohio Ellicott City Station Museum on Saturday, March 23 from 1-4pm for an opportunity to talk with local artist and Brush with History program leader Wiley Purkey! 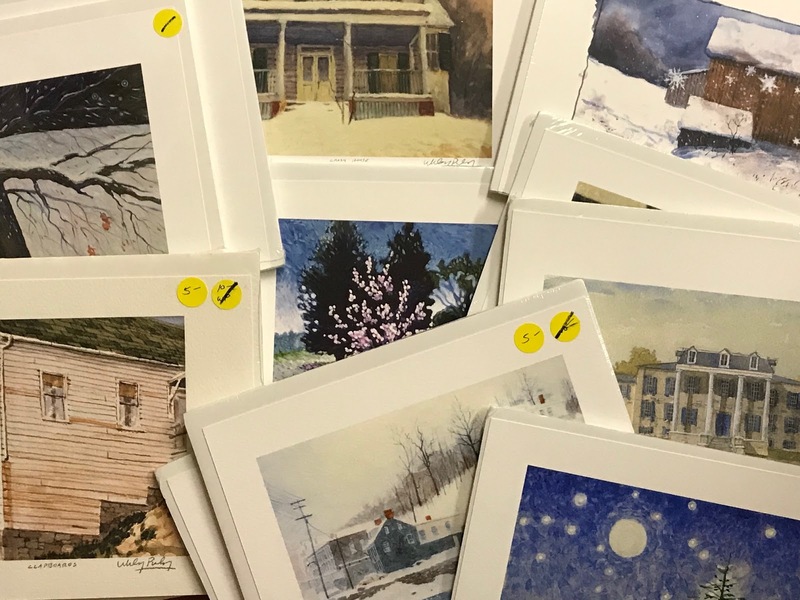 Wiley will be at the museum to showcase his upcoming 2019 Brush with History classes, and he will also have a selection of prints he will be giving away FOR FREE! Wiley has been painting images of Historic Ellicott City for over five decades, and the inspiration for his Brush with History classes comes from these images. No pre-registration required, just visit us at the Museum! 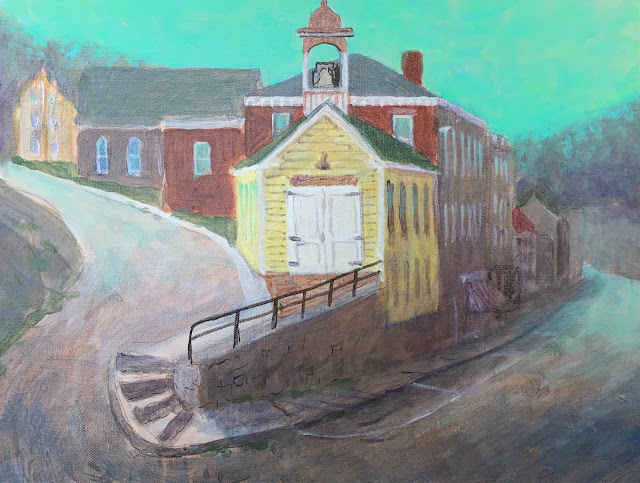 We do group painting classes at the Historic Baltimore and Ohio Railroad Museum in Historic Ellicott City on the first Thursday of each month. Our next class is on April 4th. 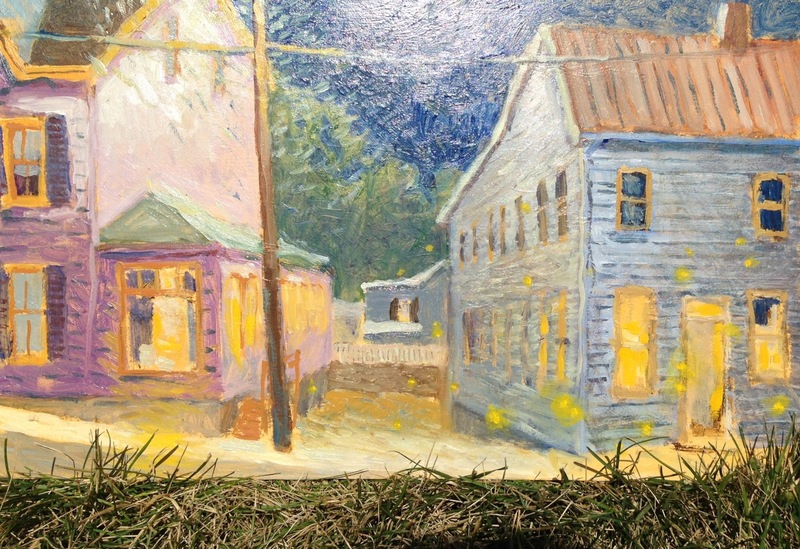 Here is the painting that will be done by those attending. It is the Firehouse Museum in Historic Ellicott City. you just have to fill it in. Please join us for a spectacularly spooky evening sipping wine, snacking, and chilling with local authors, a horror film director and cast members, an artist and a psychic reader. Everyone had SOOOO much fun at our Dead of Winter - Haunted Pajama Party -- we decided to keep the party going by having another even BETTER event for a LATE Valentine's Day- themed event. Love -- and the faint funk of the living dead -- are in the air.... So dust off that old wedding gown, tacky bridesmaid's dress or tux and get your most ghastly ghoul on for an evening filled with literary, film, and artistic delights as well as wine, lite fare and CHOCOLATE! A portion of this event's proceeds will go to benefit Historic Ellicott City, Inc. and The Howard County Food Bank! 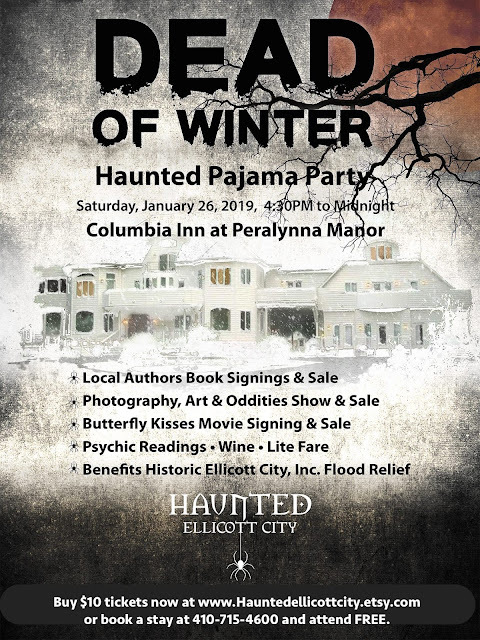 Book your room for the event now at The Columbia Inn at Peralynna Manor by calling 410-715-4600. You'll save 10% -- get FREE admission to the LOVE YOU TO DEATH: Zombie Wedding Part event -- PLUS the private after-party Wedding Reception! 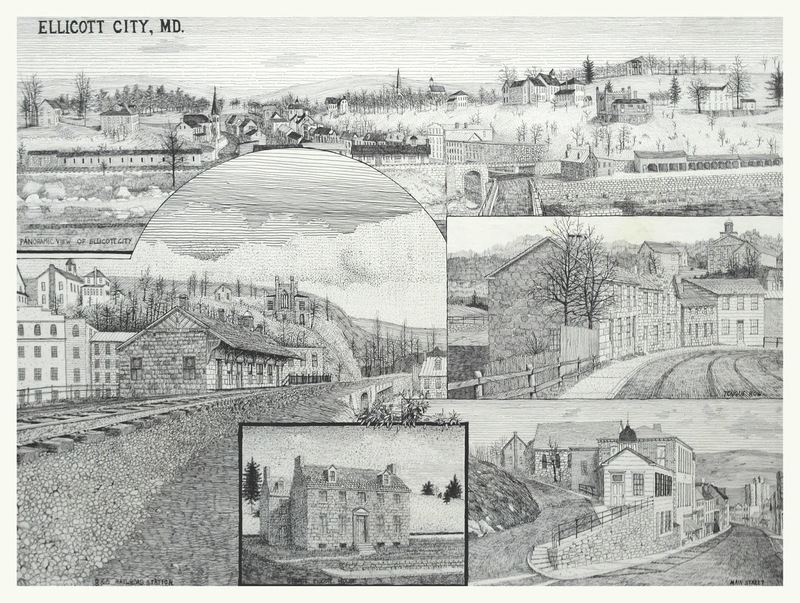 Haunted Ellicott City -- by Shelley Davies Wygant -- Explore the history and hauntings of 31 sites in and around Ellicott City. 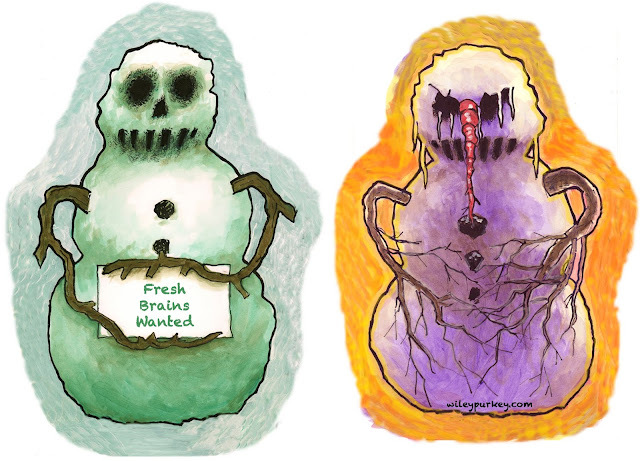 The Legend of the Zombie Snowmen of Ellicott City -- by artist Wiley Purkey and author Jerry Lee Harlowe. Who knew, right? The stories are local, the writing is deadly humorous, and there are over two dozen amazing illustrations. 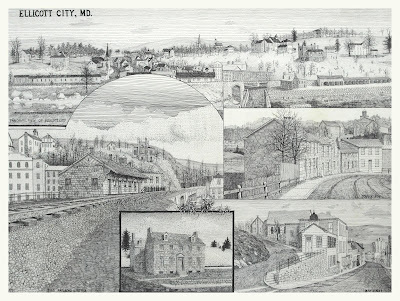 Mile Marker Ten -- a murder mystery by local author Michael Maloney that is set in 1908 Ellicott City Maryland... Dive into a book that weaves an exhilarating tale from true events described in numerous clippings from The Baltimore Sun and other newspapers. Insightful and whimsical, Mile Marker Ten vividly portrays a time of transformation, not unlike our own, driven by rapid technology and social change. Butterfly Kisses -- join director Erik Kristopher Myers and select cast members to preview and discuss a newly released psychological horror/documentary where found footage and urban legend come together in chilling fashion to spin this unsettling film, shot on location in Ellicott City, Maryland. PSYCHIC READINGS BY NADIA Ellicott City's favorite psychic reader will be on hand with $5 mini readings or a more indepth look for a bit more. Last time the line was out the door for this! Wite your own short horror story or poem and read it aloud for the crowd. Winners will walk away with the thrill of victory and fabulous prizes. Extra points if you do one on the legend of Peeping Tom of Ilchester Tunnel. PROFESSIONAL WEDDING PICTURES Taken by Ellicott City photographer Laura Sullivan under the inn's suitably spooky wedding arbor -- whether it's you and your creepy sweetie or you and your zombie bride buddies/bride's maids it will be suitable for framing! 11:00 PM - 12:30 AM -- open to anyone staying over at the Peralynna Inn ( if all the rooms are booked, we'll open tickets up to the public) Hang with the authors, movie director, cast and other "celebrities" at this after-hours party that will feature champagne, A Zombie Wedding Cake (brain flavored of course) and whatever other crazy fun things we can think up. A portion of ticket sales will be donated to the Historic Ellicott City Inc. flood relief fund and the Howard County Food Bank. It's a Strange World When Even Zombies are Getting Married! We're doing it again! Our Dead of Winter Event was so much fun that we're doing a similar event, just a little bit after Valentine's Day... "Love You to Death" is happening on Saturday, March 2nd. I'll be there with some of my Zombie Snowmen themed products along with other Haunted, Mystery, Ghostly writers and other surprises. It's a Zombie Wedding Party! An interesting event is coming on January 26th, from 4:30 to Midnight. Scary stuff, scary books, a scary movie, and more than a few Zombie Snowmen... You really need to follow the link to see what all is going on, it's a shocker! At the Peralynna Inn, near Columbia. And to top it off, apparently it's a "ladies only" pajama party. You MUST follow the link below and purchase a ticket to be admitted, tickets will NOT be sold at the door! There's still time... Visit our Etsy shop. We're going to the Post Office nearly every day, so get those orders in. is my book, already in it's second printing.